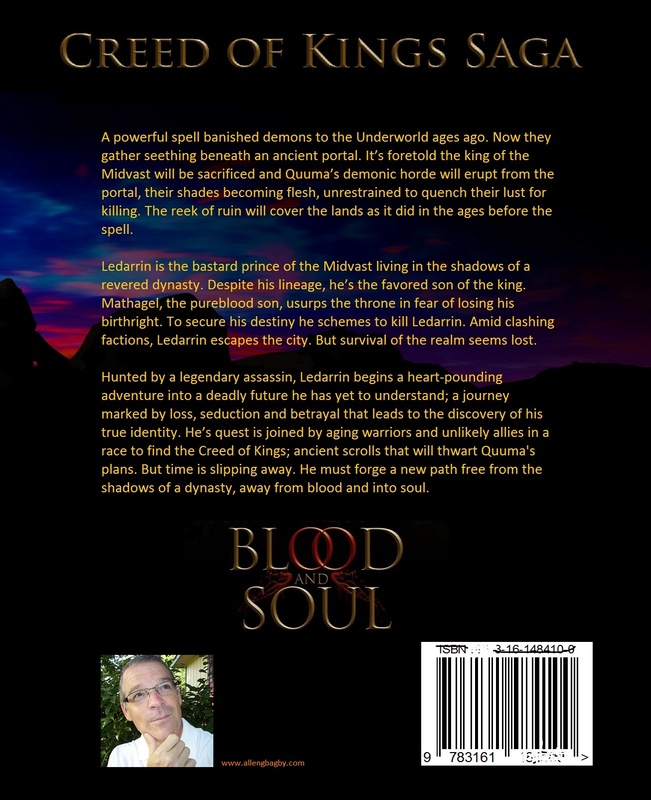 Don’t miss the back of the book story description below. 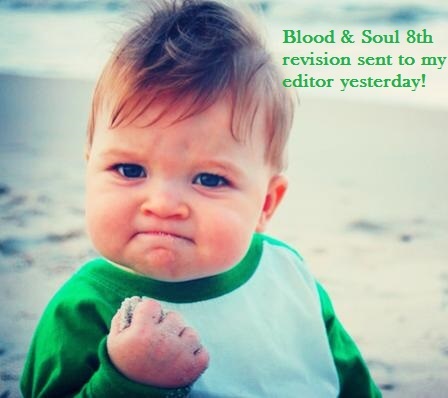 Made a major step in preparing Blood & Soul for the final pass for my editor. He loved reading it the first time and with his suggestions and edits it improved even more. My editor and I are contemplating the services of a proof reader. The reason? The book is 160,000 words. We need another pair of eyes for a product that is so epic. Of course, looking for typos is a must but also things like consistency – is this east or west, is it cloudy or sunny, is the secret entrance on the west side or the east side of the wall, did he or she really say that earlier? You’d be surprised what you can forget about a book you wrote yourself. When you change a character’s name in a 160k word manuscript you will inevitably miss a spot and leave the old name in somewhere. I typed the main character’s name 1256 times. But even a supporting “actor” gets a lot of space and the minor characters sprinkled throughout a 160k words can be missed very easily for a good reason. Even using the “find and replace” feature in MS Word won’t catch everything because you might have misspelled the name you’re replacing once or twice and the feature will miss those. That will derail the reader who’ll be trying to figure out what the heck happened. There’s a zillion little things like that. And, that’s why a fresh pair of eyes is NEEDED. It can become very tedious and fatigue can set in. It’s the difference between a Frankenstein and phenomenon. 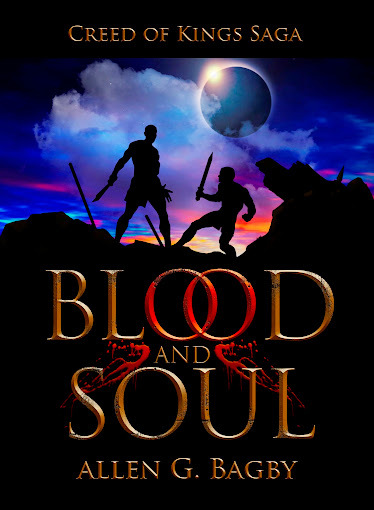 I’m happily forging ahead on Blood & Soul. When I began revising this document it was 611 pages. It’s now 756. It’s not getting longer. Let me explain. In several locations I told the story in a non-linear fashion. I thought it was clever, my editor thought is was confusing – ha ha. I cut and pasted those scenes back into a linear sequence and “rewired” them into place. When you are in the “tracking changes” mode of MS Word it does not literally remove a cut section, it strikes through a section. Therefore it adds pages because if I strike through four pages those stricken pages remain until the change/deletion is “accepted” by my editor. But as I write-through, the goal post seems to stretch away from me but in reality it is not. 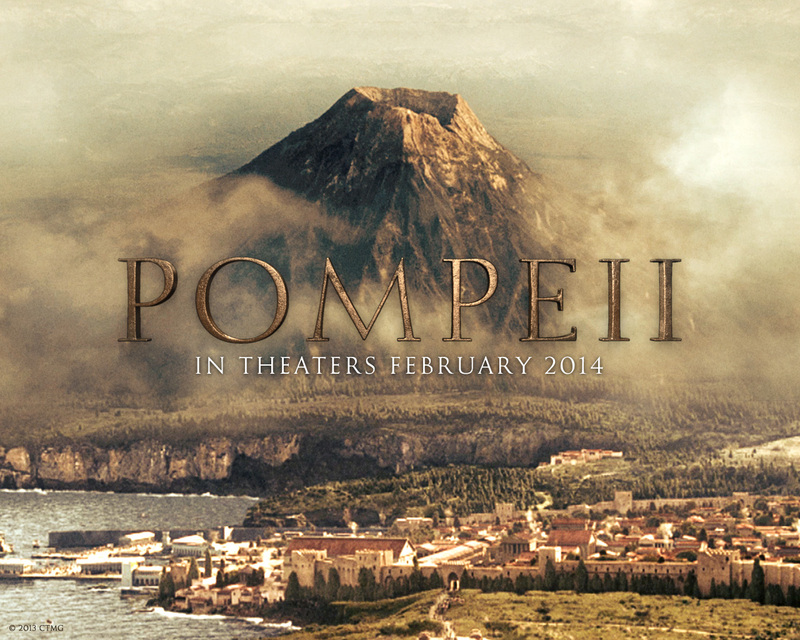 Pompeii: Saw it last night. I love historical fiction set in the classical world or in a world before gun powder; Gladiator, 300, Troy or something like Lord of the Rings. I also pay to see these movies in the hopes gaining grist for the mill of my imagination relating to my book, if not through visuals at least imagining how people lived in ancient times. It’s a bonus when the movie is actually fair to good. Pompeii, although a joy to look at, was one of the cheesiest cliché riddle jokes I’ve ever watched. The story had potential but was so poorly executed it felt watching a football team apply a ridiculous game plan in great uniforms. Lines delivered throughout the movie are worthy of giggles though not the intention. Many of the action scenes are impossible or incredibly cheesy – a poor man’s Gladiator. I begrudgingly give this movie 2 Stars out of 5 because it was so nice to just look at. After swearing to never self-publish I changed my mind a couple of years ago. But one thing I will never swear off is a valuable editor. 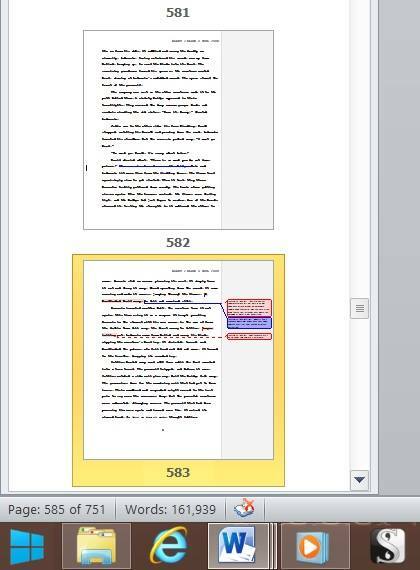 One of the chief complaints I see about self-published authors is horrendous editing – if it’s been truly edited at all. Three weeks ago I received my manuscript back from my editor. I’m astounded by the improvements an objective eye brings to my story even after I had revised my work seven times. As hard as I tried I still needed help. I won’t compromise on quality when it comes to something I’ve slaved over to try to make it great. I don’t understand why more self-published writers don’t invest in an editor. If you truly cherish your story why would not want to craft it as near perfection as possible? My book is going to be self-published. But I confess I’ve never been able to make it through a self-published book. Granted, there are probably some great ones out there. I’m concerned there’s a lot of people out there like me who won’t give a self-published author a chance. I wrote my book for a lot of reasons; one was for picky readers like me. A few years ago, when I finally SAW my Muse she dressed in worn comfy denim. She had gossamer wings. She looked just like Nova (Linda Harrison) from that old Planet of Apes original, her dark hair silky and shining. Every golden morning my Muse would hover at my bedside and awaken me with angelic ethereal humming. Dazed and inspired, I would rise and scurry off to my bus route. Afterward, I would take her hand like a ritual. She would lead me to a local diner or coffee house, and sit me down, and turn on my laptop with a missing left “enter” key. While it booted up she would pass the time pouring me honeyed coffee. She would bring it to me, and curl up on the monitor and purr rhythmically, playing songs by Hans Zimmer and James Newton Howard into my headphones. The sound of her purring and my fingers waltzing on the keyboard was like the sweet roll of distant thunder and a warm graceful mist washing over us through the middle of the day. In the early afternoon I would look up from my laptop and stretch, and whisper thanks to her, and wander off to drive a school bus, my mind full of visions. Then due to circumstances beyond my control I had to switch jobs and writing became inconvenient and impossible in the midst of the day. She went into a Relocation Program for orphaned muses. I never heard from her again. Maybe you have seen her? For all I know she whispering music into your ear and filling your mind with visions. Don’t waste her inspiration. As soon as you exit Facebook begin your own epic novel, dear reader. I had to adapt. I petitioned for another Muse for evenings and weekends. The one that showed up looked the Girl with the Dragon Tattoo. Desperate, I opened the door and let her in. She chain smokes Marlboro reds. She wears thick mascara and re-dyes her hair black weekly. She has sixty-six piercings—that I know of—and some I dare not ask about. One arm is sleeved-out in tattoos. She has a Ph.D in German Literature and refuses to purr. She prefers leather to denim, likes fishnet everything. She clipped her wings. From her pale neck on separate chains dangle hundreds of religious icons, peace symbols, and skulls. She reads “the lost works,” just to taunt me and quotes Nietzsche and Rousseau. She listens to Lady Gaga, the Ramones and Johnny Cash and Mozart and the Lower Chakras and drives a black hearse with a pink stripe. She speaks English with a French accent. She refuses to pour me coffee and spills her own on my papers. She never visits, I have to summon her. When she comes she’s often high and drunk, daring me to judge.